Simon is a Partner in the Real Estate team specialising in commercial landlord and tenant work, Investment property management, funding and property insolvency. Simon joined Clarke Willmott in 2005 after working at Lodders LLP. 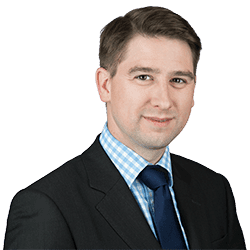 Simon headed a team of property lawyers on the sale of a national high street wine retailer which involved various inter-group transfers and the supply of certificates of title to in excess of 120 properties in just seven days. Advised a major insurance company in relation to an agreement for lease and lease of large city centre offices of around 22,000 sq ft.
Acting for BurgerKing Limited in relation to the insolvency of a number of franchisees involving transferring a number of properties to phoenix companies, taking surrenders and dealing with all property aspects of this transaction. Simon acted for a major landlord in relation to a sub-letting of a 30,000 sq ft city centre office with major works contributions and full construction documents.